Description Drive and park your car to the parking spot, but be aware of some bad guys trying to kill you. buy a lot of deadly weapons to make u more powerful, complete all 5 challenges, and unlock all rewards. 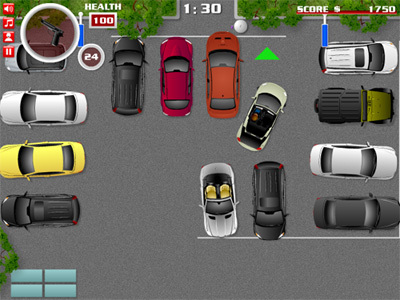 Controls ~ Press W, A, S, D or Arrow keys to drive the car or walk. ~ Press 1 or Q to select primary gun. ~ Press 2 or E to select secondary gun. ~ Press R to reload ammo. ~ Left mouse click to shoot.